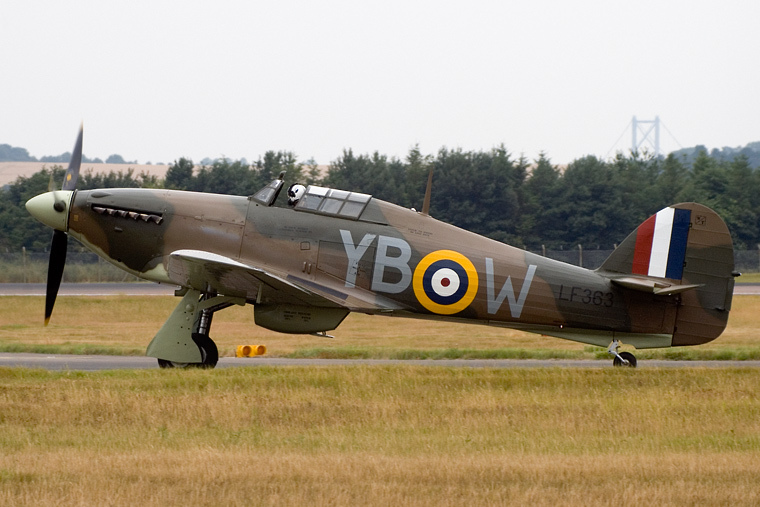 a hurricane bearing this reg # lf363 was seen by me recntly ina post war film called the one that got away, is this that aircraft, and were you aware that it was in the film, and an escaped german pilot tried to steal it? from scotland? intrinsic i know, but i noted the id from the film and in the film it carried no squadron markings. could you inform the owner of this little piece of provenance? my email- lion17ade@yahoo.com.au - oh and it is a joy to see the old girl looking so good- so many have been restored, but i am aware that many will be re assigned markings of other units and countries- ie, BBMF planes. if this is the genuine lf363 so much more the interest. Good piccy.